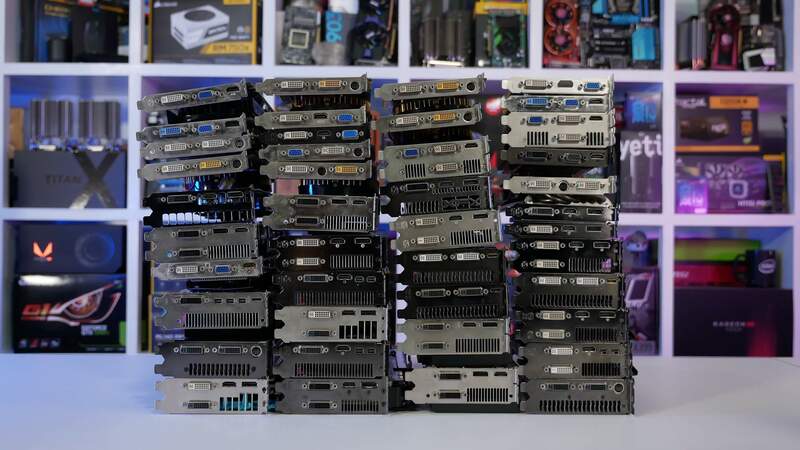 The big picture: Crypto miners flipped the GPU market on its end but now that the craze has passed, manufacturers are dealing with a hangover in the form of excess inventory. It'll eventually work itself out but the disruption could be felt well into 2019. The cryptocurrency mining boom appears to be firmly in the rearview, and with it, its influence on the GPU market. According to Jon Peddie Research, desktop graphics shipments were down 16 percent in the third quarter compared to the same period a year ago. Quarter over quarter, desktop graphics add-in boards that use discrete GPUs decreased 19.21 percent. Jon Peddie, president of JPR, said the US tax increase on products from China, the drop in the US stock market and the effect of crypto mining on desktop discrete GPU sales all contributed to the slow sell-off of inventory, thus reducing demand to suppliers. It may sound bleak but this is only the desktop market we are looking at. According to the report, overall GPU shipments increased 10.64 percent from last quarter. On a manufacturer basis, AMD shipments were up 6.5 percent, Nvidia shipments increased 4.3 percent and Intel’s shipments shot up 13.1 percent. The overall PC market, JPR notes, increased 8.22 percent quarter over quarter and was up 0.30 percent compared to the same period in 2017. Tablet shipments, however, were down from last quarter.